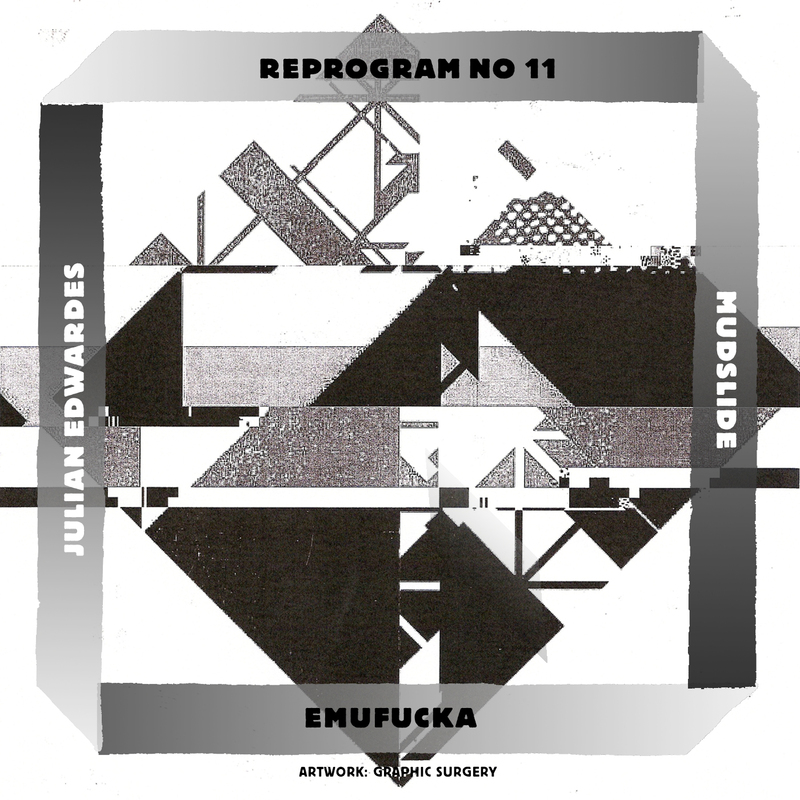 Fremdtunes presents the 11th track of the remix-art project ‘REPROGRAM: A SEQUENCE OF REMIXES’ today with the release of a remix by Emufucka for Julian Edwardes and artwork by Graphic Surgery. The original track ‘Mudslide’ appeared on Julian Edwardes’ EP ‘Paragon‘ released in early 2013. Julian Edwardes(Breda, NL) is inspired by artists like Flying Lotus, Tortoise and Mouse on Mars, Edwardes re-samples, chops and screws sounds coming from ancient synths and 21st century machines and arranges them in his eccentric musical constructions. His tracks were remixed by artists like Ben Butler & Mousepad, Big Mister Doom, E.R.P., Planes and Pierce Warnecke. Emufucka reworked ‘Mudslide’. Takafumi Sakurai aka Emufucka hails from Tokyo and is a true future beat wizard. His blissful electronica-fuelled rhythm sculptures have already created a decent buzz amongst today’s worldwide beats & bass scene. He collaborated with Count Bass D, DZA, Quarta330 and My Dry Wet Mess among others, joined Red Bull Music Academy in 2013 and signed singles and EPs to imprints such as Alpha Pup and Citywurl. Emufucka released two EP’s on Fremdtunes (‘Planar Rift‘ and ‘Retrace’) and a 7-INCH with Coco Bryce. (2012). The remix is mastered by Collin Visser (Takumi Audio). Erris Huigens and Gysbert Zijlstra of the Amsterdam-based duo Graphic Surgery take care of the artwork. Around 2000, during art academy, the two discovered that the contemporary city was their mutual source of inspiration. Both capturing this by taking similar photographs of abstract compositions. They decided to work together. Photography still forms the foundation of their work. They deconstruct bits and pieces from their photos and reconstruct them intuitively into altered images by use of scanning, digital editing, printing, photocopying and stencil technique. They started referring to this self sufficient process as graphic surgery. This cut and paste approach has manifested itself through different techniques applied on a wide range of vintage materials. Their work has been shown in numerous exhibitions throughout the Netherlands, in Paris, Brussels, Luxembourg etc.